Superdry men’s active all over print t-shirt. 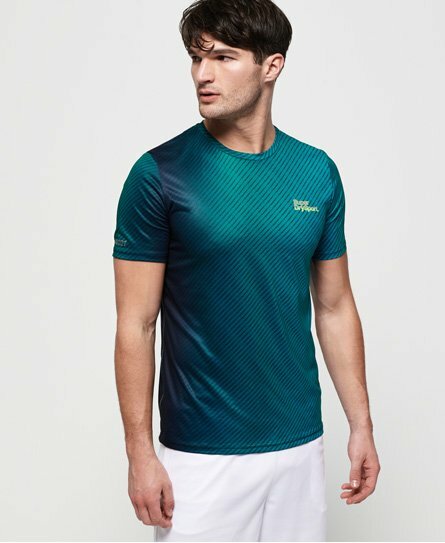 This tee has been crafted with lightweight fabric for ease and freedom of movement whilst you work out. It also features reflective detailing on the arm, chest and back so you can be seen in low visibility. Cut with a flattering crew neckline and short sleeves, this will complement all of your training outfits. This tee has been finished with a Superdry branded all over print design and Superdry Sport logos on the chest and sleeve.